Devoted to creating a world of its own, the cuisine at Hamagen stands at the intersection between tradition and originality. 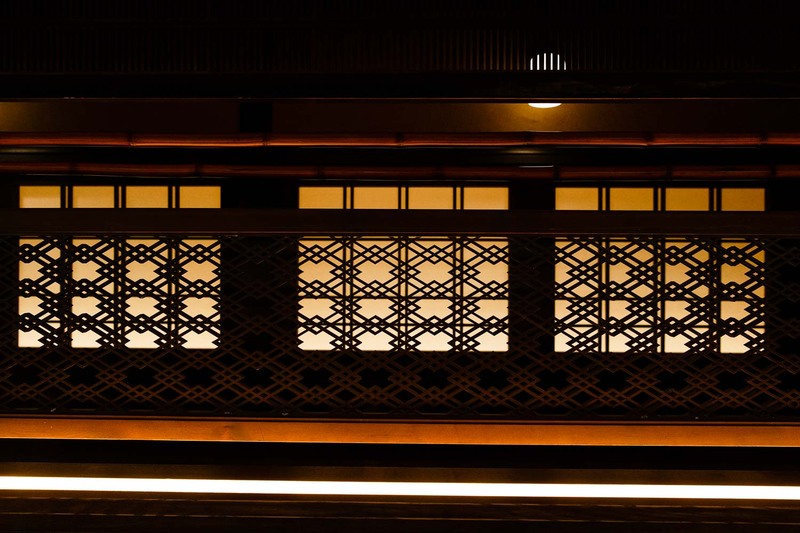 Perfected by the chef’s commitment in sourcing the finest quality fish and his exquisite taste for antique decor, this rare Nagoya find scores equivalent of top gourmet establishments in Tokyo. 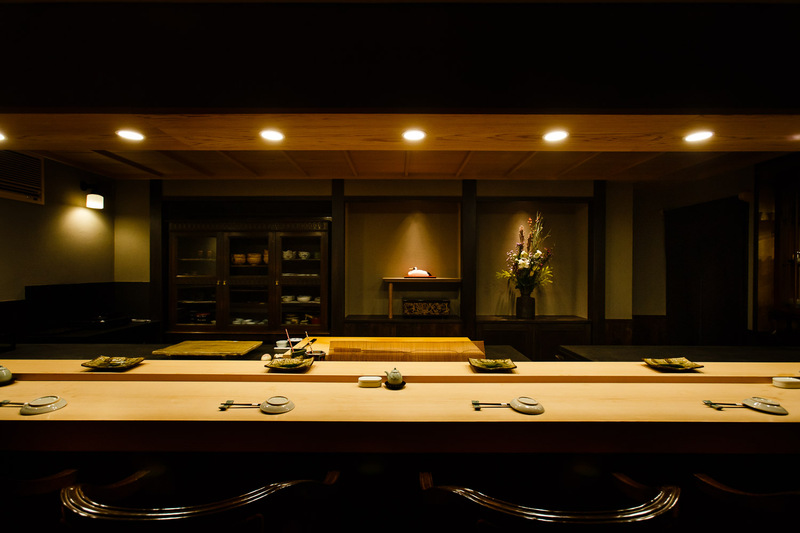 Taking over the family restaurant, Taro Suzuki has reinvented the small local eatery into a luxurious high-end restaurant in Aichi Prefecture. 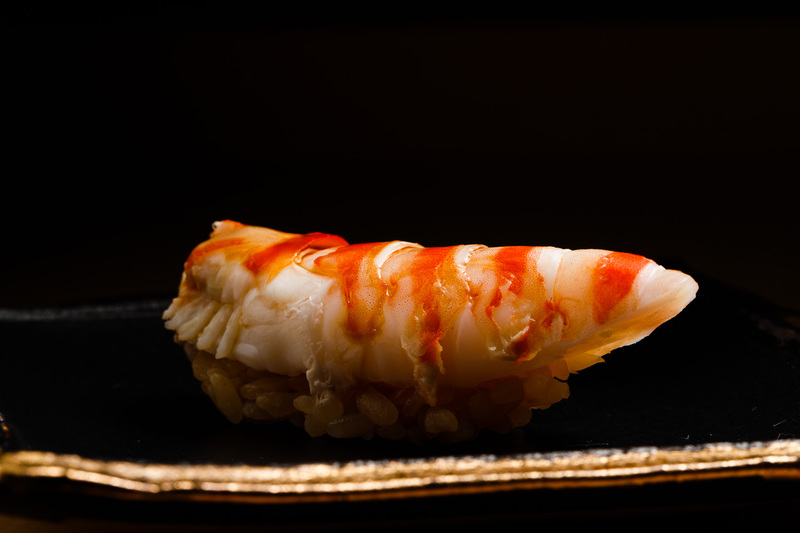 Trained at Araki, a famous Ginza sushi bar, the young chef performs his mastery to the lucky six guests at the counter with impeccable service and lively conversations. Hamagen is situated on a quiet residential block, just a few minutes away from the house that the chef grew up in. 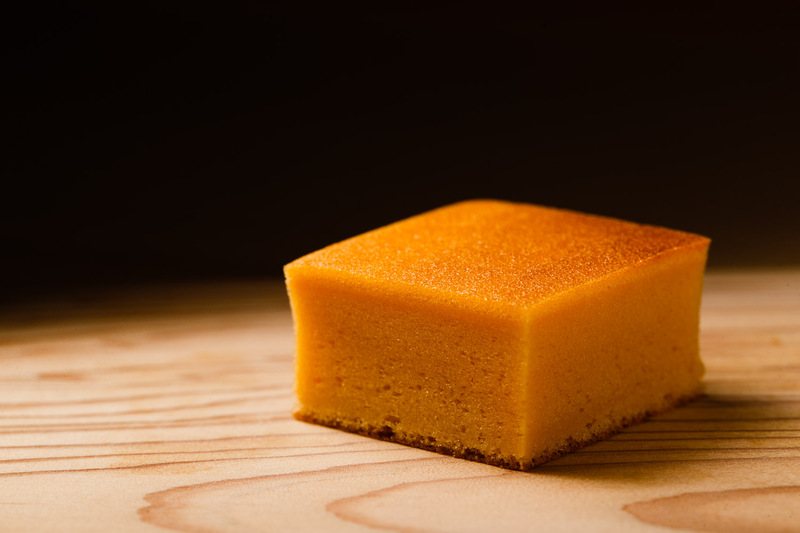 While not in the most convenient of locations, gourmands from across and outside Japan make the effort to find it. As if a secret little art gallery, the black wooden entrance is subtle, set with just a small sign. 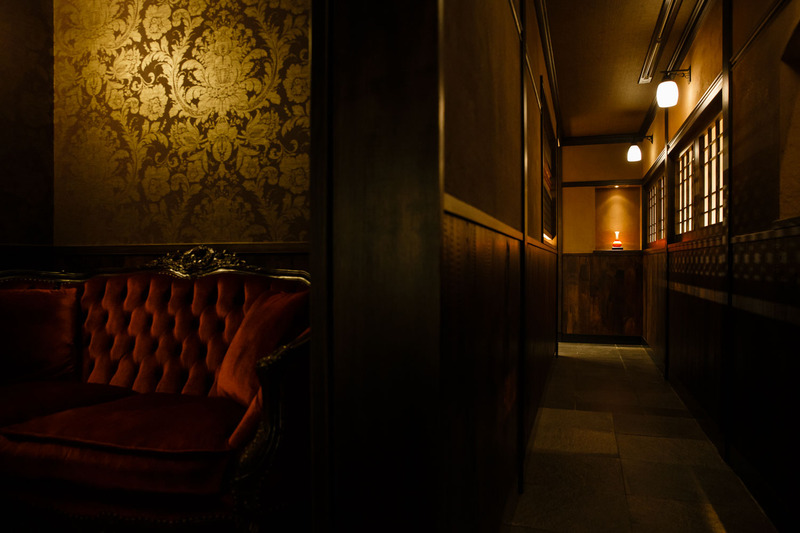 Once you step inside, you immerse yourself in a warm ambiance that marries traditional architecture with retro decor. Above a 19th-century English glass cabinet stretches a Saobuchi ceiling, an old craft that uses with narrow cedar beams. Behind the wide and smooth counter, made of hinoki wood from Bishu, is a statue of a crane, the symbol of good luck. 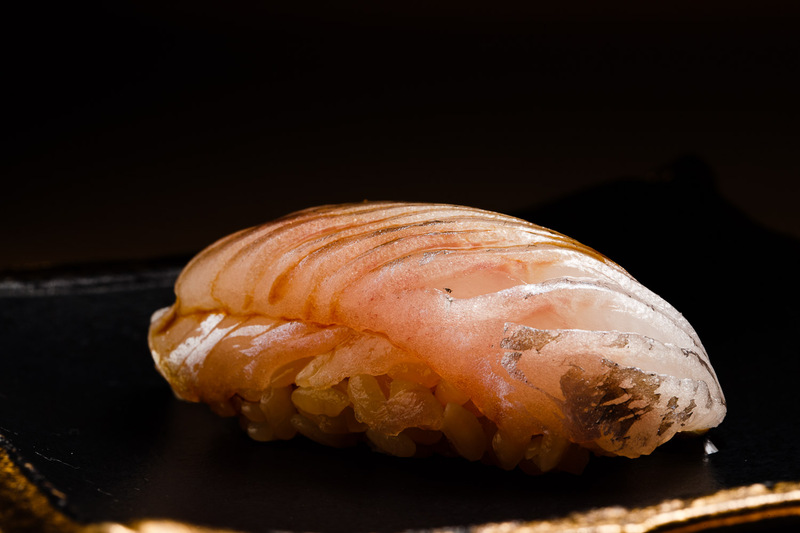 Hamagen offers only the chef’s seasonal omakase menu. The meal starts with a series of small dishes that is a beautiful fusion of seasonal flavors, textures and colors. Behind every dish are works of craftsmanship and hours of experimentation. 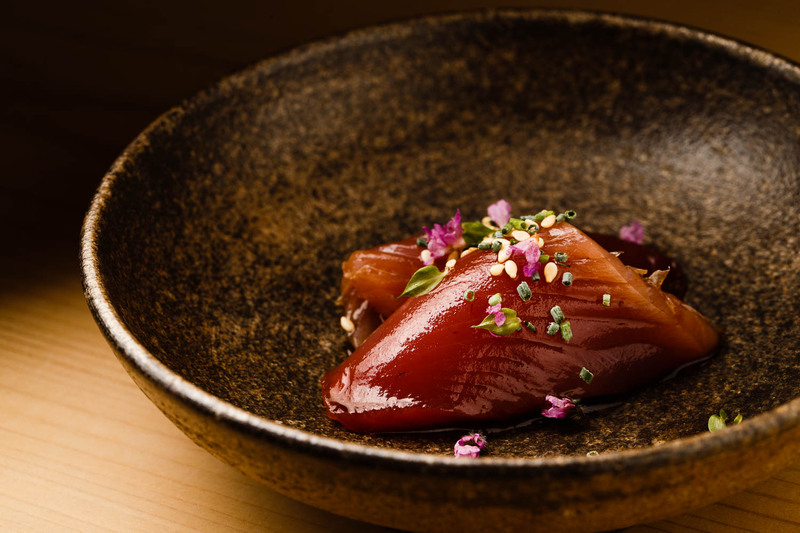 “Bonito and seaweed make an incredible combination,” Suzuki says as he embeds pieces of top-quality seaweed in a soy marinade to infuse the aroma in the fish. Served with sprinkles of sesame and chive, the dish appears to be a simple soy-soaked fish but the deep flavor of the seaweed unleashes in your mouth with every bite. 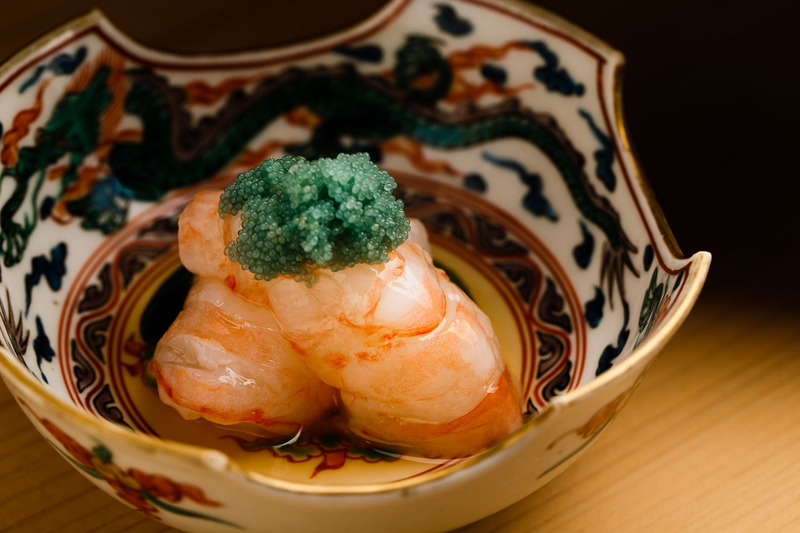 In a small colorful bowl are mouth-watering morsels of juicy botan shrimp from Hokkaido. The plumpy meat has been resting for a couple of days before blanched in sake, mirin and light soy sauce. Topped with emerald green shrimp eggs, first enjoy the gorgeous dish with your eyes. 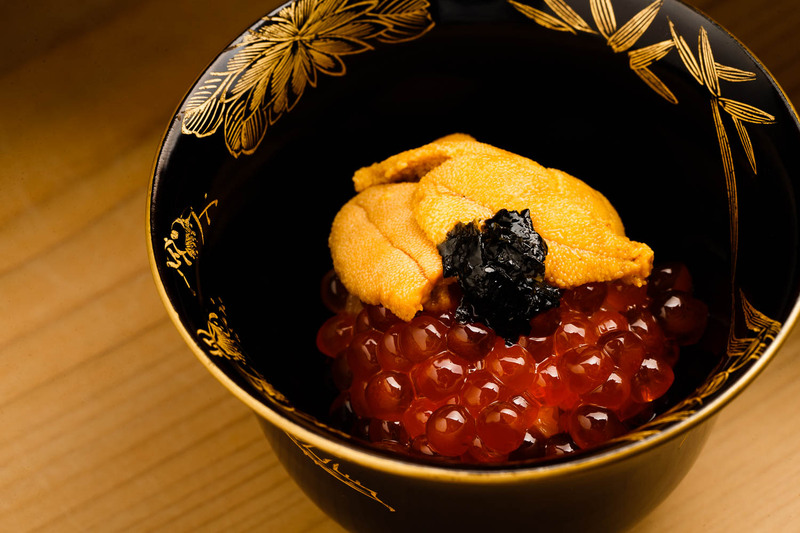 Generous heaps of sea urchin and salmon roe are wrapped in kombu seaweed like a matsumaezuke, a pickled dish native to Hokkaido. The dry seaweed on the side is what the chef used earlier to flavor the bonito marinade. The umami-packed seaweed pairs beautifully with sips of cold sake. 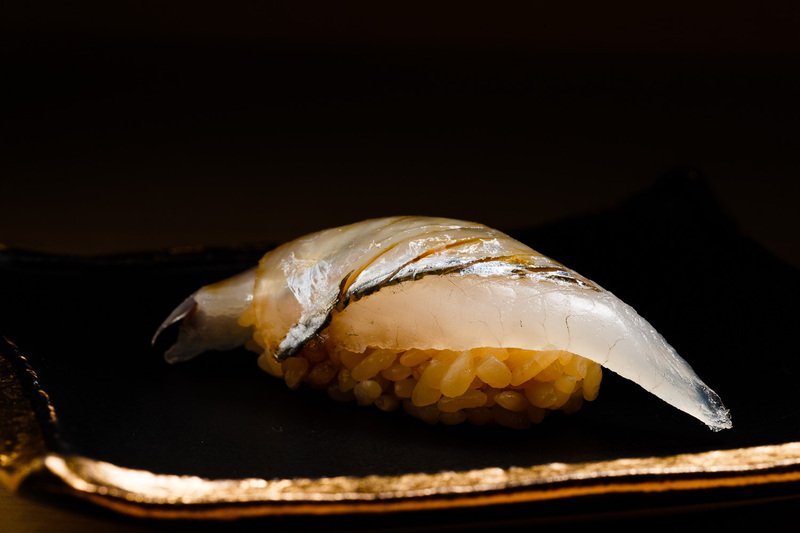 The first nigiri of the meal is squid, matured for that deep umami and sweetness, followed by a beautiful pieces of kombu-infused Japanese halfbeak and green eyes, both fresh catches from Ehime Prefecture. The sticky texture of the green eye can be quite addictive. During the course of the meal, he doesn’t dare take his eyes off the guests as they tuck into each morsel. To him, every subtle reaction is important in understanding the quality of his cuisine. 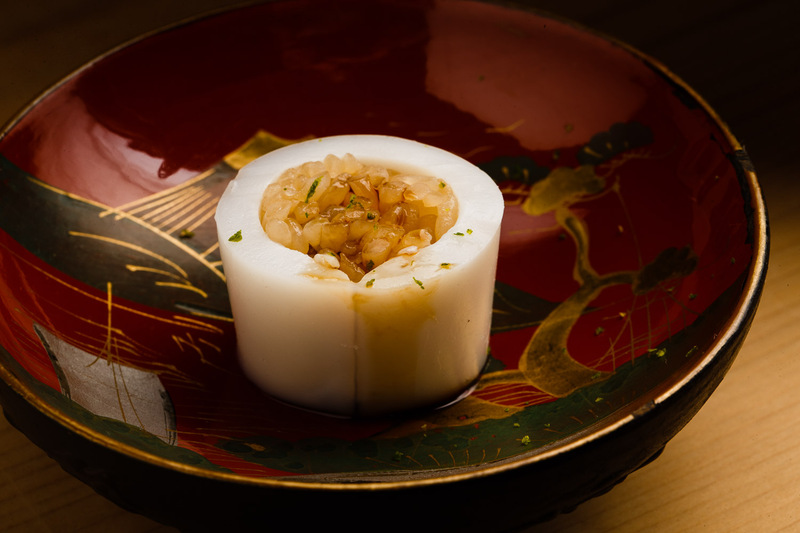 The last nigiri is the egg, sweet as dessert, made without adding other flavorings like shrimp. Slow-cooked for over two hours, every bite is moist, delicate and soft. Suzuki procures his ingredients mainly from Nagoya markets while always on the lookout for good local produce across the prefecture. He sources some of the higher-end produce like tuna and sea urchin from Toyosu Market. He has premium catches such as bonito, crab and abalone sent directly from regional ports. The koshihikari rice used for the shari is grown in Uonuma, a city in Niigata Prefecture. He likes to use brands that have been dried under natural sunlight. For the vinegar, he blends in some stronger red vinegar from Yamabuki. The drinks are all to do with how they pair with the food. He likes to recommend subtle and cleaner wines like those from Burgundy. He stocks between five to ten bottles of sake, ranging from dry to sweet blends. Taro Suzuki was born in Nagoya in 1977 as the son of a sushi chef. He began helping his father with deliveries and dishwashing when he was still in elementary school. But he didn’t immediately dive into a culinary career and instead decided to go to university to study psychology. He also had a passion for music and played the base in a band. He even tried to move to Germany to learn the craft of making musical instruments. After a few detours, he made up his mind to take on the family restaurant and started training under his father. To master the basics of Japanese cuisine, he worked at a local kappo restaurant as well. When he was 26 years old, he read a magazine article on Araki, a relatively new sushi restaurant in Ginza, and was immediately drawn to its authentic and sophisticated style. Together with his wife, they visited the up-and-coming restaurant, seeking for an opportunity to learn from Chef Mitsuhiro Araki. The chef took them and the young couple began working there. There are countless episodes from the days at Araki. The master chef would often ask young Suzuki to join him on outings such as tuna fishing or being recommended to learn the art of tea ceremony. Every experience has led the apprentice to the chef he is today. Most importantly, the training taught him to have great respect for the producers. After a year of apprenticeship, Suzuki returned to his father’s restaurant, which at that time served the locals as a casual eatery. As he began devising his vision, he wanted to offer a more sophisticated experience for the guests. While fighting some hesitation, he started making changes to the menu while working on renovations, eventually transforming the place into a high-end establishment. He is ever so thankful to his father who provided him the foundation for his dream and to Araki for teaching him the most sophisticated skills. The two mentors continue to provide great support for the chef today. Most importantly, he is grateful for his wife who has stood by him and worked with him every step of the way. Suzuki’s sole focus is on continuing to improve his restaurant and to perfect his skills. 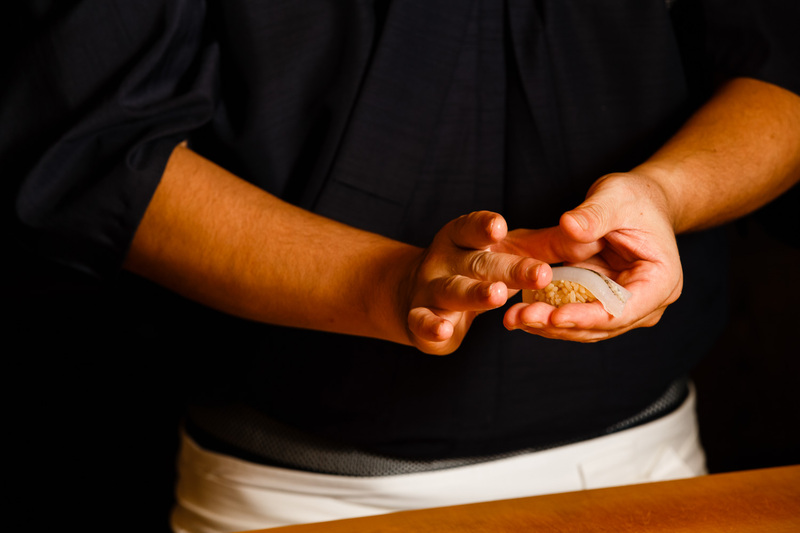 “Training as a sushi chef takes longer than most other cuisines,” Suzuki says. 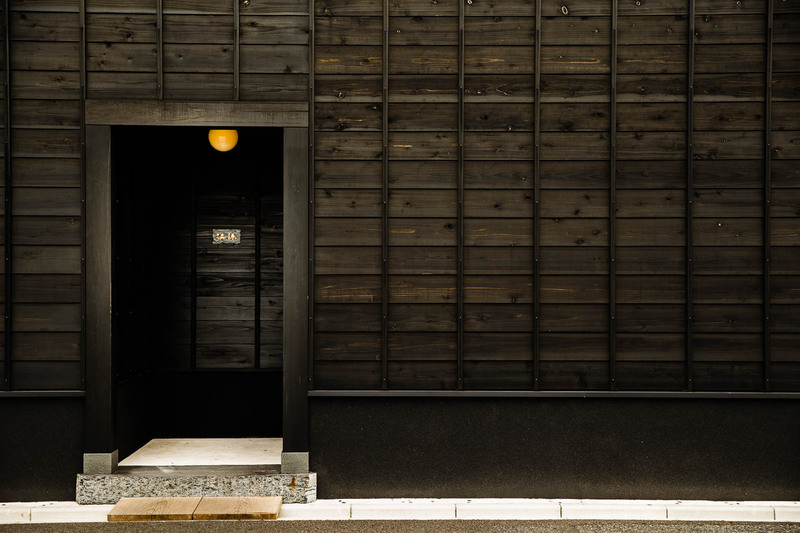 “That’s because it’s a symbol of Japanese culture and one of its deepest traditions.” He also believes that the experience at his restaurant should not only be about the taste but also a pleasant and enjoyable one. 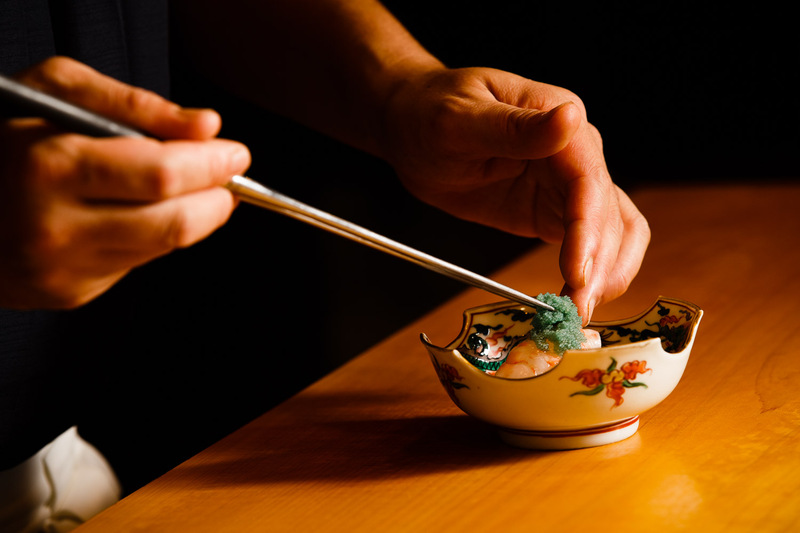 Especially for foreign guests with whom he can’t communicate as well, he focuses on putting a better performance so that they will be able to gain a deeper understanding of sushi. The ambiance at Hamagen marries the best of the East and West. The waiting room is inviting and relaxing, mounted with flower print wallpaper and a comfortable antique couch. The large wooden cabinet with glass doors dates back to early 1900s England, where it was originally used as a bookshelf. Now it stocks Suzuki’s precious collection of ceramics and glasses. The beautifully curated space is a reflection of his sophisticated aesthetics and his desire to make the experience the most memorable for his guests.